The biggest big data trend in healthcare is that big data and analytics are helping the industry take on long-time problems in new ways. But all of this is only possible if you have a solid data center architecture in place. If your organization is interested in tapping into the power of big data, start with an assessment of your goals, the questions you want to answer and an inventory of your data center systems and data. Next, evaluate the platforms that will work best with your data center architecture and identify upgrades that might be needed to accommodate. Establishing how you want to use big data will also help inform you of the types of big data analytics solutions that will work best for your company. Another important factor is to evaluate data integration or how new data sources will flow in and out of your big data solution, including data security. Sound complicated? Don’t worry! The Evolving Solutions team can bring our expertise to your organization to identify the right big data architecture and analytics solution. Contact us today to get started with a data discovery assessment. Many companies struggle to implement a big data analytics solution that is fast, flexible and accessible. Most companies lack the internal expertise to manage this from end to end, so finding a trusted IT partner is critical. Knowledge. The right partner should be able to demonstrate use cases that are specific to your industry. 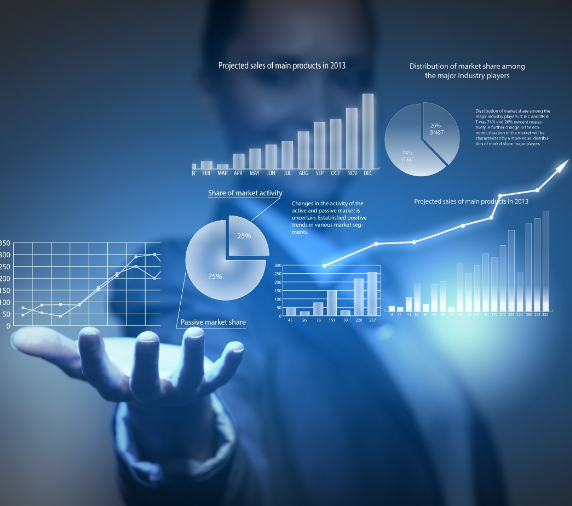 Having an understanding of the business needs unique to your industry are important when it comes to implementing a big data analytics solution that will generate useful insights. Scale. Your IT partner should offer you a big data solution that scales with your needs. This requires expertise in IT architecture to ensure a platform that is flexible. Service. Your IT partner should be with you from assessment to implementation and provide great ongoing service and support. Your IT partner should also take data security as seriously as you do. The big data analytics solution should be compliant with the rules and regulations specific to your industry. Your IT partner should be fluent in the specific data security challenges your company faces. Finally, it can be easy to get bogged down with the volume of big data. The right IT partner knows that it is not the volume, but the value of the insights your big data analytics solutions can deliver that will provide your business with advantages. Your IT partner should be able to help you define clear and measurable goals upfront to better ensure project success. Want to learn more about which big data analytics solution is best for your business? Contact us today to get started. Our data discovery assessment services will identify your analytics needs and zero in on the platforms and solutions that will move you forward as a data-driven business. The right big data analytics solution can drive insights that help your business thrive. A successful big data project starts with a solid understanding of your data and data center infrastructure coupled with a clear corporate data strategy. A big data analytics solution alone doesn’t guarantee amazing insights. The data feeding into the solution must be clean and of quality. Assessing your data sources and management is key. Start by mapping out your data sources – where does the data live and how is it processed, defined and kept clean. Define how your data sources work together and integrate. Finally, identify the data you are missing or the data that would be critical to helping solve your business issue. Before adopting a big data solution you need a solid data strategy to guide the project. Define what business challenges you hope to overcome and how insights gained can be implemented. Start out with a specific and targeted challenge to pilot a big data project. This approach will allow you to test the waters on a smaller scale. Finally, create a multi-disciplined team to ensure all stakeholders are providing feedback and direction on the strategy. It is also important that you assess your internal systems and data center infrastructure. What type of big data platform can your infrastructure support? What changes or upgrades must be made? At Evolving Solutions, we can help you through this assessment process and help you gain the insight you need to become a data-driven business. Our data assessment services help you prepare for integrating a big data analytics solution. The assessment provides a full business analysis, an environmental assessment and actionable recommendations. We then help you choose the best big data platform for your needs. Contact us today to get started.